UGLY and tasteless tomatoes. So sad, so very sad. 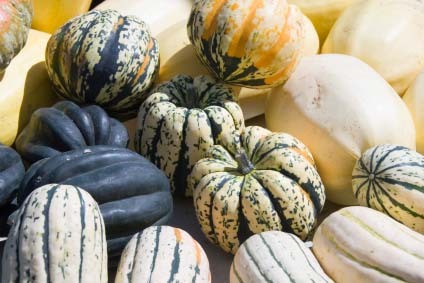 To be considered a true locavore (one who eats only local food grown in season) requires defining ‘local’ in a way that makes sense to the person chasing the title. The current trend in MARKETING is to define ‘locally grown food’ as food that has been grown within 100 miles or four hour’s drive from the consumer. 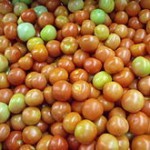 After all, who in the North Eastern US enjoys a freshly grown tomato in January or February that has a rich summer flavor? 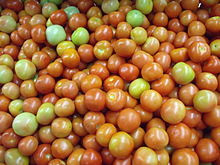 The majority of their tomatoes are shipped from Canadian hydroponics tomatoes (they LOOK like tomatoes but have no flavor) or they were shipped from Mexico and harvested before ripeness, gassed and then shipped to the East Coast. Again, they look like tomatoes but have no flavor. With today’s air transportation, it is possible to fly produce over 2,000 miles in four hours. Locally grown? Hmmm, no, not really local, but it would fit one organization’s definition. Even four hours of driving means over 200 miles away and that travel time is hard on vegetables that were harvested at ripeness. The difference between food grown within 30 minutes of the place it is grown and shipped to a consumer, and having it travel four hours is not subtle, and it is not easy to understand why people are confused regarding what good food actually looks and tastes like anymore. 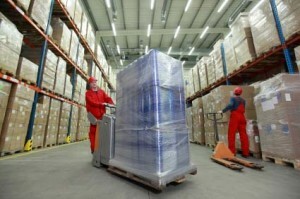 Today’s food distribution system is truly an amazing logistics delivery mechanism. Food can be grown, harvested a bit early, packed, transported to a terminal to arrive at the local store in three to eight days, anywhere in the WORLD. The price of the food locally is determined on a worldwide basis which means that the cost of a head of lettuce or a tomato is similar everywhere in the world. There are a few exceptions to this statement, but most of the differences are because of locally available seasonal produce and the customs or shipping cost involved in moving the produce from field to store. If locavores INSIST on local meaning ‘within an hour’s drive’ then the retail outlets will become more focused on what they can procure locally. 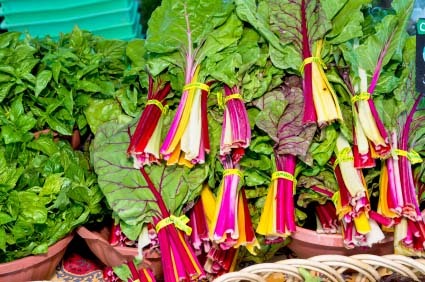 And because locavores are usually willing to pay at least a slightly higher price for the best food in the world, the market will very quickly support ‘local’ farmers. The trick is the year round supply of fresh vegetables. Here is where controlled environments growing comes into play and becomes profitable to the point of being an excellent investment as well as ‘helping ‘ people. The Portable Farms® Aquaponics Systems or any aquaponics system housed in a climatically adapted structure can produce prodigious amounts of food year round. The local markets are beginning to demand this level of ‘local’ and have customers that will buy all that can be produced. It is a seller’s market and the first to deliver will have those customers for life.